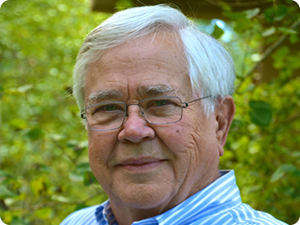 Dan Love is retired after a career in transportation and tourism. In addition to his duties since joining the C&TSRR in 2010 , he serves on History Colorado’s Archaeology and Historic Preservation Committee, the statewide entity responsible for promoting and preserving its history. Prior to this, he was the president and a board member from 2006-2011 of Colorado Preservation, Inc., a leading private, non-profit organization focused on preservation of Colorado’s historic assets. Dan is a founder of HistoriCorps, a volunteer group that provides technical expertise, management and supervision for restoration projects involving historic structures located primarily on federal lands. Dan’s career spanned many years in the airline industry where he was a senior officer of several carriers including Frontier Airlines (original), Continental Airlines, and is a founder of the new (1994) Frontier Airlines. In each case he was a top management member focusing on planning and marketing. Dan also spent parts of his career in the resort and tourism industry. He was a marketing officer for numerous mountain resorts, including Keystone, Heavenly Valley and Sun Valley. Serving as the executive director of the state’s Colorado Tourism Board was a high point for Dan. During his administration, Colorado’s tourism expenditures rose 20% (to $5.9 billion) and consumer inquiries were up over 200% in a three year period. Dan is a proud Colorado native. He is a railfan of long standing and supporter of the Friends. He graduated from Stanford University in 1960 and from the Massachusetts Military Academy (OCS, U.S. Army) in 1963. Dan and wife Cameron spend much of their time at their home near Grand Lake, Colorado. Dan’s son lives in Denver and is one of the owners of Codence Consulting, a custom software development company. His daughter is the Associate Vice president of Student Affairs at Ft. Lewis College, Durango CO.